When I picked this book up, I couldn't put it down! I loved everything about it except for the length! I wanted more of this engaging world that Will McIntosh had built within Burning Midnight! A must read YA scifi, it has everything that a good scifi story needs: action, mystery, danger, and romance! I felt like this story was seamless. Typically, I prefer one aspect of a book to the other, like the characters over the plot, or the narration over the characterization. But with Burning Midnight, all the aspects moved together in such a way, that it was either going to fall flat or harmonize. And, boy, did this book sing. I loved each character, as each one, both the heroes and the villains, add to the overall book. The world the action is set in, is just different enough from our Earth to make it interesting, and, of course, the addition of the mysterious spheres is the driving force of the action! Sully and his group of friends all bring something to the table. I found Sully to be a great narrator for the events that were happening. He has a distinct moral code, and is a good guy without a hidden agenda. I really liked that about him. Hunter, the biggest supporting character, works as a juxtaposition to Sully, because she isn't what you'd call a "good" girl, but definitely has her own set of morals, which lend more towards helping herself. And there is a reason for that. Add in Sully's best friend, Dom, the muscle, and Mandy, one of the few true protestors to the industry in the book, then you have a complete group. While none of the characters are not fleshed out enough to make them complete dynamic characters, I don't think it was necessary. Each character adds something to the group dynamic and move the plot along. So even though we don't get to see each and every facet of a round character individually, I think the ensemble manages to make a "round character". I think McIntosh makes an interesting commentary on ownership and the reality of how far humans will go to be better, faster, stronger. But then the question is, at what cost? With the spheres all around the world, it has given rise to an industry built on who has/who can afford the best? If you were able to give yourself the ability to have resistance to the common cold or to move faster than an average human, what would you give up to get it? Of course there are even bigger and better abilities out there to find, and that is what drives the plot. I don't want to give a lot away because this is definitely an action mystery. With two big twists that I didn't see coming, you have to read the book in order to fully appreciate the story. 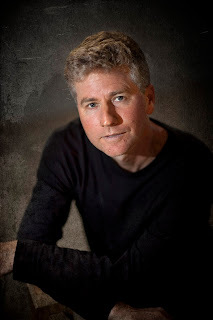 I feel that Will McIntosh's debut in young adult literature was a splash! 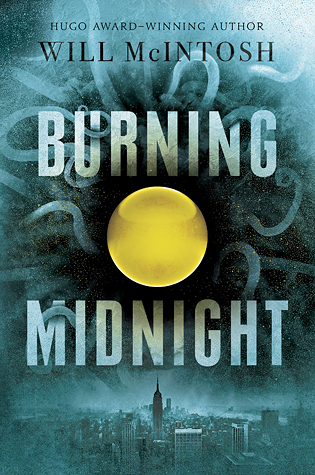 With an interesting plot, fun characters, twists around every corner, and an epic mission, Burning Midnight is a must read for everyone this year!